"We can't get any inventory within a 100-mile radius," said Mark Campbell, owner of Mid America Arms in St. Louis. He's having a hard time keeping ammo in stock. "It started right around the election, as soon as President Obama mentioned gun control. But right after the school shooting in [Newtown] Connecticut, that's when it went crazy." Even the big ammunition retailers are feeling the pinch. Wal-Mart (WMT) has been rationing its ammo since January, to three boxes per customer per day. And when a gun retailer like Cabela's (CAB) gets two or three shrink-wrapped pallets of 5.56 mm or .223 ammunition for AR-15 assault rifles, they're "cleaned off like locusts, within a couple of hours," according to Brian Rafn, a research director at Morgan Dempsey Capital Management in Milwaukee who follows ammo manufacturers. "You're talking about a massive civilian arsenal build up," he added. 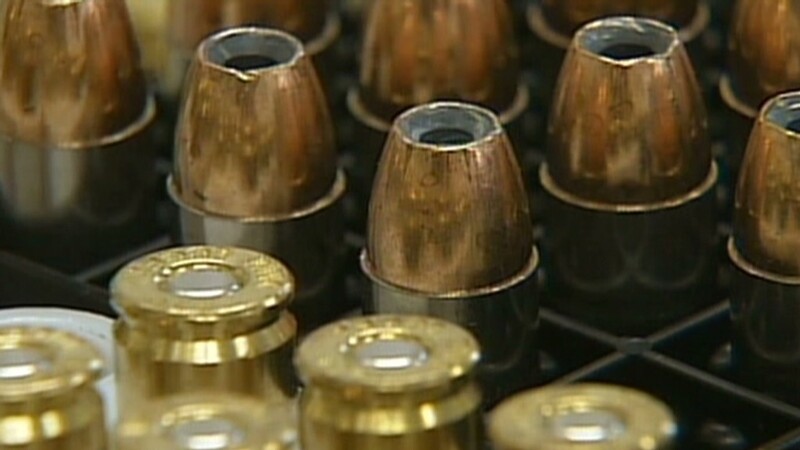 Ammunition manufacturers declined to comment on whether they've ramped up production, but Rafn expects that they have. "They're probably [working] three shifts, seven days a week plus overtime," Rafn says of manufacturers like Alliant Techsystems (ATK), Olin (OLN), Winchester, Hornady Manufacturing and Remington. "They're probably scrambling to build new plants like they haven't done in eons." Anecdotal evidence certainly suggests they're busy. The answering machine at Hornady Manufacturing in Grand Island, Neb., has an outgoing message that says "call volume, order volume and demand for product has increased dramatically," delaying bullet shipments to distributors. Caleb Ogilvie, a concealed-carry instructor who works at Cabot Gun & Ammo in Cabot, Ark., has heard from various employees at the nearby Remington ammunition plant in Lonoke that "they're running full swing up there, running 24-7." But Ogilvie said that it's tough to keep ammo on the shelves, despite his shop's proximity to the plant, a mere 15 miles away -- especially the once-ubiquitous .22-caliber. ".22 ammo, you cannot find anywhere right now," he said. "It's popular. It's cheap. People want to go out and target shoot. People just want to go out and plink." One gunshop worker was too busy with customers to even speak to CNNMoney. The man who answered the phone at Shootin' Shed Gun Shop in West Winfield, N.Y., said, "Sir, you're talking to the only [employee] in here and there's nine people standing in front of me." But respondents weren't asked how many guns they owned -- just whether they owned any. And much of the recent activity is not reflected in that survey: According to FBI data, seven of the 10 biggest weeks ever for background checks for guns have occurred in 2013. As gun lovers buy up weapons that may be banned or restricted, shares of companies like Sturm Ruger (RGR) and Smith & Wesson (SWHC) which make assault rifles (but not ammunition) have skyrocketed. And if you haven't bought an assault rifle yet ... forget about it. 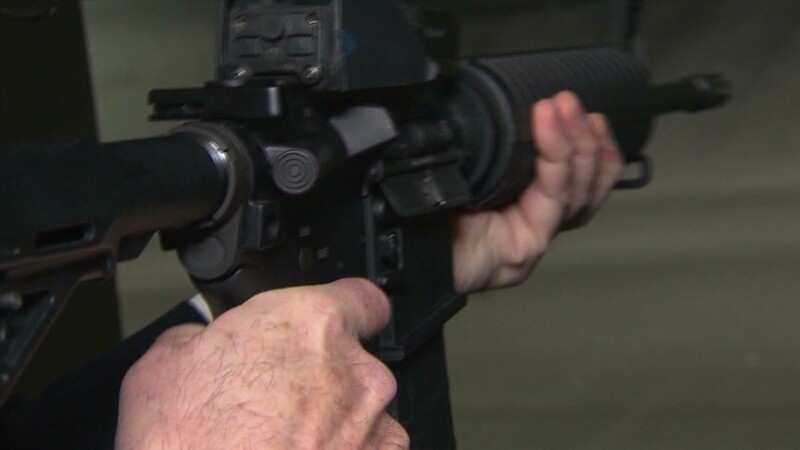 "If you were going to order an AR-15, you're going to be waiting two years," said Ogilvie.